Random Thoughts of Gil Camporazo: Bonifacio, a hero? 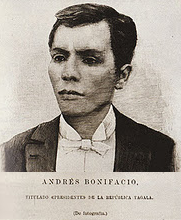 Andres Bonifacio was acclaimed as one of the national heroes of the Philippines. November 30 is commemorated as Bonifacio Day in his honor. Andres Bonifacio was admired and revered for his role in Philippine history. He started the Philippine Revolution. He was the first president of the "Tagalog Republic". He became the head of the Magdiwang as President of the Sovereign Nation (Pangulo ng Haring Bayan). He headed the Magdiwang government and the Katipunan Supreme Council. He advocated the principles of liberty, equality and fraternity in which republicanism is founded. He was executed for treason and a "legal murder" fueled by politics. He wasn't well represented in court. His defense lawyer betrayed him and proclaimed him guilty instead of helping him in court. He wasn't allowed to confront his state witness for they'd been killed in battle. But in reality, they're alive. He was a threat to Aguinaldo's government. He was charged for "insubordination" against the head of the Katipunan of which he was a member. Bonifacio and his brother Procopio were charged of conspiracy to murder and were found guilty despite of insufficient evidence against him and recommended be executed. They were executed on May 10, 1897 in the mountains of Maragondon. In the manner of Bonifacio's death, doubts overshadowed it. Several versions came up. Lazaro Macapagal, the commanding officer of the execution party told that Bonifacio was shot to death while trying to escape while his brother was shot to death first. Guillermo Masangkay told that an eyewitness farmer saw seven men stabbed and hacked to death Bonifacio while he was laying prone in hammock for he's too weak to walk. While historian Milagros Guerrero wrote he was bayoneted and he was along with his brother left unburied. Bonifacio's death was considered by Apolinario Mabini, Emilio Aguinaldo's adviser, as criminally done and "assassination...the first victory of personal ambition over true patriotism." Controversies decorated Bonifacio's life. He was rumored to steal Katipunan funds. His sister was a mistress of a priest. He was an agent provocateur paid by friars to foment unrest. He was an atheist and educated. He would be a killer of the rumor-mongering if not prevented by others. Though elected as Director of the Interior, he was protested for the position should be occupied by a lawyer. He was ired and nearly shot Tirona for the second time if not controlled by Artemio Ricarte. In Tejeros convention an election held, Emilio Aguinaldo was voted unanimously in absentia. Bonifacio alledged that the election was "fraudulent". Santiago Alvarez, Gregoria de Jesus, and Guillermo Masangkay reported that many ballots were already filled out before being distributed and more ballots prepared than voters present. Bonifacio did nothing instead he declared: "I, as chairman of this assembly and as President of the Supreme Council of the Katipunan, as all of you do not deny, declare this assembly dissolved, and I annul all that has been approved and resolved." However, on the following day, Emilio Aguinaldo surreptitiously took his oath of office as President in a chapel officiated by a Catholic priest Cenon Villafranca. Votes rigging, ballots bloating were already century-old election malpractices. No wonder why! on this web site at a later time and discover what else you have got available :-) !!! on anything at all pertaining to dinner ideas!! 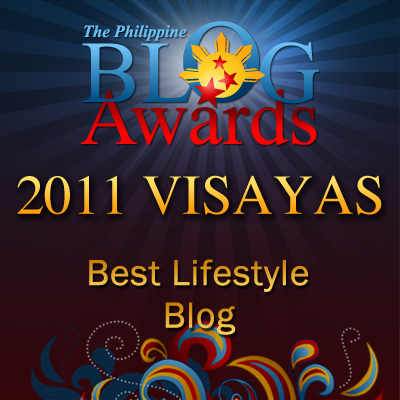 Dang....impressive web blog and data on this page. Your content here are quite helpful!!!! :-) Any sort of RSS feed here? :-) I've truly been searching for often current posts in relation to open source crm software. associated with managing sales leads. Provide anything else somewhat more distinct??? As an example ,, opinions or possibly resources about healthy breakfast recipes. Could I sign up for your site content? !